I’ve finished the last of four rounds of edits for “Tall, Dark and Slayer”, my January release from Champagne Books. I’ve taken out em dashes, fragmented sentences and lots of question marks. I’ve read the manuscript approx. twenty times. I have to make one more pass and send it back to my editor. She’ll bump it up to her editor then I’ll have to go through her line edits. Then it’s done, set in stone. You’d think, after twenty passes, and three or four from my editor, we would have caught all the errors. I still find them, though they’re getting smaller and smaller. The biggest one was using “going to her play as” instead of “going to her place as”. I’m sure someone would have emailed me on that one. All this reading and editing emphasizes the need to polish, polish and polish your manuscript. This is especially important when sending out a query to an editor or agent. You’re an unknown, your query is picked out of the slush pile and they have no time to overlook basic errors. If you’re sloppy with your one page query, what will your manuscript look like? I’m now editing “Robert’s Rules Undone” the sequel to “What Do You Say to a Naked Elf?” Both books will be epubished this fall. If you ever wondered what happened to Tivat the Shapeshifter in “Elf”, he teams up with Jane’s sister, Sheila Perfect, in an adventure that takes place approx. one year after Jane and Charlie find their happily ever after. I’ll post the covers soon. 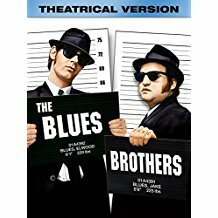 I ran across “The Blues Brothers.” The last twenty minutes. Did I keep on clicking? No, sir, it’s one of those movies I can’t walk away from. It’s one of the movies we love to watch over and over and over. There’s something about it—the music, the car chase, the “mission from God”, the brilliance of Ackroyd, and Belushi before he flamed out. I’ll watch it every time. My kids still quote it verbatim. Last weekend we saw it on “the big screen.” No previews of coming attractions, no commercials, just the lights dimming and ta-da, the movie. If you dissect it, there isn’t much to the plot. Skipping school. Driving Dad’s car. But the symbolism strikes a universal cord. Who wouldn’t want to climb up on a float in a parade and sing to the crowd? Who wouldn’t want to play head games with their school principle? 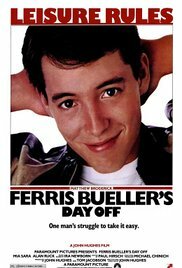 So, yeah, Ferris is on my list. And it’s also set in Chicago, one of my favorite cities. Pride and Prejudice, any version. Emma. But not Sense and Sensibility so much. Of all the Jane Austen books made into a movie, I love Persuasion the best. 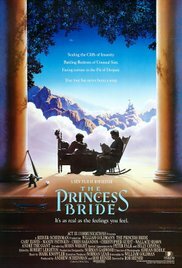 Another “big screen” treat this summer. It’s a classic. Fencing. Fighting. Torture. Poison. True love. Hate. Revenge. Giants. Hunters. Bad men. Good men. Beautifulest ladies. Snakes. Spiders. Beasts of all natures and descriptions. Pain. Death. Brave men. Coward men. Strongest men. Chases. Escapes. Lies. Truth. Passion. Miracles. Elizabeth Gaskell’s “North and South“. When John Thornton (yummy Richard Armitage) whispers, “Come back. Come back to me” <sigh> I lose it every time. Can you add to the list of movies we love to watch? What are your favorites? What movie or TV series can you not walk away from? The value of images when writing is sooo, sooo important. I’ve started pre-production on the re-release of “What Do You Say to a Naked Elf?” and the sequel (you didn’t know?) “Robert’s Rules Undone”. My cover artist, the very talented Tuesday of purpleinkdesigns, sent me a cover questionnaire and asked me to fill it out. Do you know how hard it is to remember character details from six and seven years ago? Fortunately, I always scrapbook my characters (we call it a Book of Wonder) and I still have the images. In the case of “Elf” I even have written character descriptions. You can see I didn’t put a lot of work into it. Oh, look, more Naked Elf! And Tivat doesn’t have tattoos, but isn’t that guy hot? He’s more like the mysterious Marcus (Marcus, just Marcus) from “Tall, Dark and Slayer”. Thinking about doing a short story centered on him. I digress. Images are important while writing your story. In some cases, afterward. BTW, I got sidetracked by my Book of Wonders for “The Spell Breaker” a Non-comedy but romance. Richard, the hero king, is based on “Highlander’s” Adrian Paul. Can you blame me?